Long-time APC member Equipment Corporation of America (ECA), a prominent distributor of specialty foundation construction equipment, will celebrate 100 years as a third-generation family-owned business in March 2018. During that time, it has morphed from a small purveyor of World War I surplus equipment to a large international dealer for the most advanced foundation equipment in the world. “What has helped the company over the last 100 years is our ability to evolve,” said CEO Roy Kern. ECA spent the first part of the century providing and rebuilding World War I surplus equipment such as boilers, steam locomotives, steam hammers, hoists, and derricks. As electric and diesel supplanted steam, the company shifted its equipment lines to stay current. 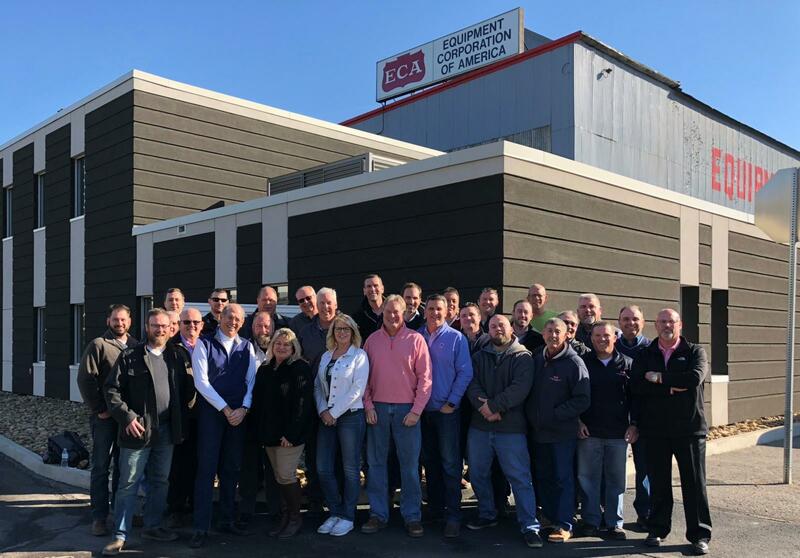 ECA earned a reputation for strategic expansion by opening new locations in the Eastern U.S. and Canada, and partnering with leading manufacturers of foundation equipment around the world. Its lineup reads like a who’s who in global foundation equipment: BAUER Maschinen, KLEMM Bohrtechnik, Gilbert Products, ALLU, BAUER-Pileco, Betek, HPSI, Dawson, MAT, WORD International, Berminghammer, and Prakla. The firm, headquartered in Coraopolis, Pa., has amassed nine locations including Philadelphia, Washington, D.C., New York/New Jersey, Boston, Mass., Greensboro, N.C., Milwaukee, Wis., Jacksonville, Fla., and Toronto. This diversification has, in part, helped ECA to thrive by allowing the shuttling of equipment between locations to meet changing regional market demands. ECA has evolved into a large and complex enterprise over the past century, but Roy has not lost sight of its greatest achievements: long-term employees, relationships with customers and manufacturers, and the ability to adapt and survive. He also recognizes the importance of succession planning from the corporate office to the branches. As Roy thinks back to 1921 when his grandfather worked in ECA’s typing pool, he believes Len would be enamored by the quality and quantity of his employees, business savvy, technical advances, and financial position. “I would hope that the company continues to take care of its customers and employees and adapts in any way it needs to,” he said. “I'd like to believe we would be at the cutting edge of technology and remain very service and customer oriented.” Based on the past 100 years of ECA’s history, the odds are high that he will be right.